Bolivia. 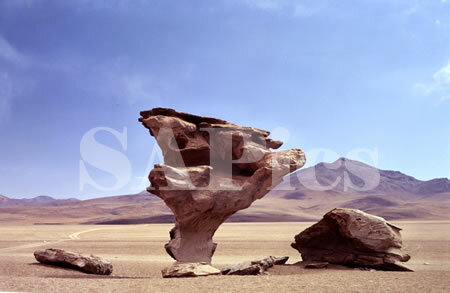 The Arbol de Piedra - Stone Tree - is wind eroded ignimbrite, a volcanic rock formed at the time of the uplifting of the Andes. Much of this remote area in southwest Bolivia has been set aside as the National Reserve Eduardo Abaroa.